Spontaneous bouts of support for England are occurring all over the country. A Russian woman and young girl sang “It’s coming home” in a thick accent for the Sky Sports cameras based over there for the duration of the World Cup. 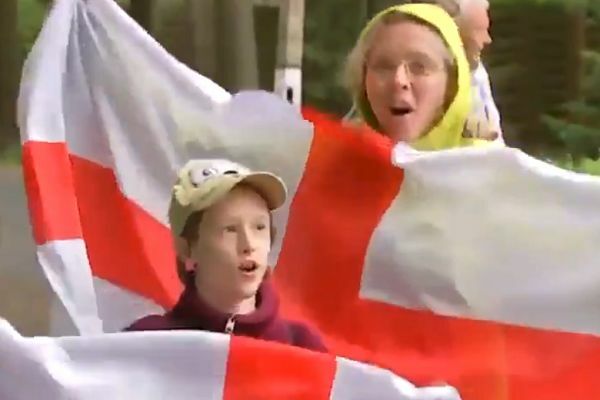 Spontaneous bouts of support for England are occurring all over Russia after the hosts were knocked out of the competition at the quarter-final stage. The English, however, now approach a semi-final tie against the Croatians, on whom the locals are seeking to take some sort of revenge. And this pair were keen to show their allegiance while holding England flags.